There is no single authority or organization which assesses or recognises all overseas qualifications. Depending on the type of qualification or occupation and whether the assessment is for the purpose of migration or employment in a particular state or territory of Australia, the organization may vary. Australian Computer Society (ACS) is the professional association for Australia’s Information and Communication Technology (ICT) sector. Before applying for an ICT skills assessment, the organization recommends applicants to understand their personal visa requirements as set by the Department of Immigration and Border Protection (DIBP). 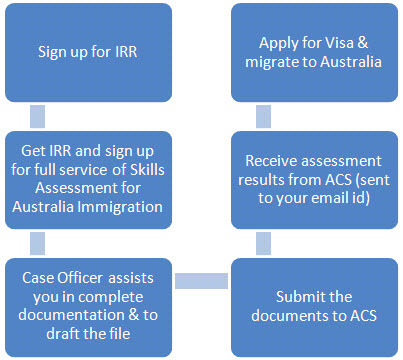 Skill assessments for Australian Immigration are not an analysis of your suitability for employment or to check the probability of your Australian residency status. At the completion of skills assessment, ACS issues visa applicants with a result letter via email. This letter can be submitted to DIBP as evidence of ICT skills assessment. Minimum 4-6 weeks is required for assessment by ACS. Time may vary from case to case.